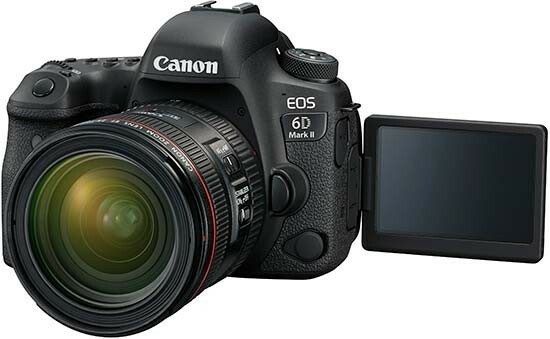 The camera market has changed significantly in the five years since the original EOS 6D was launched. These days, you can enter into the full-frame market at an affordable price via a variety of different brands, so Canon has its work cut out to make the 6D Mark II remain an appealing prospect. In many ways, it does just that by packing a lot of enticing features into a solid and dependable body. If you already own a Canon APS-C camera, it’s a tempting idea - but bear in mind that the cost of upgrading may also have to incorporate the cost of upgrading any EF-S lenses, which are not compatible with the EF mount. If you already own a 6D, there is enough to tempt you to upgrade here - but you may be more likely to be drawn towards the 5D Mark IV. The positive points of the Canon EOS 6D Mark II include its improved AF system, the fantastic articulating touch-screen and a new processor which facilitates a better high noise performance. However, there are sadly a few downsides too. Having a single SD card slot is disappointing at this price point, while 4K video is starting to become so standard that to see it left out of a £2,000 camera is definitely a let-down (though that’s less of a concern to people not interested in video). A viewfinder which only offers 98% coverage is also something which you usually find in cheaper models. It’s a tricky task for Canon to produce a camera which is appealing to those looking to buy their first full-frame model, without taking sales away from its more expensive 5D Mark IV camera. Overall, the Canon EOS 6D Mark II represents a solid and capable all-rounder for those who are new to the full-frame game, but with a more crowded and diverse market place than we had in 2012, it struggles to truly excite. It’s also quite a high asking price for something which is missing a few longed-for features.